20160414 + Up late in the am and to the accountant to get taxes done. In to work for a short but crazy day. 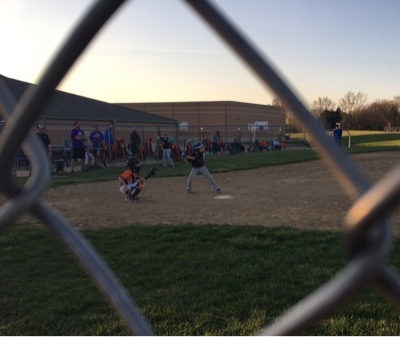 Headed to G's scrimmage and parked on 270 for 30 minutes... Got to G's game late, but just as he was coming up to bat for the first time. He had a good game and it was nice to sit and watch the boys play, they did very well. We were in Pickerington and G&I stopped at a Stake'n Shake on the way home for dinner. Home late, little boys to bed. D filled me in on his game, he didn't get to play. All to bed. Watched a couple episodes of 4400.